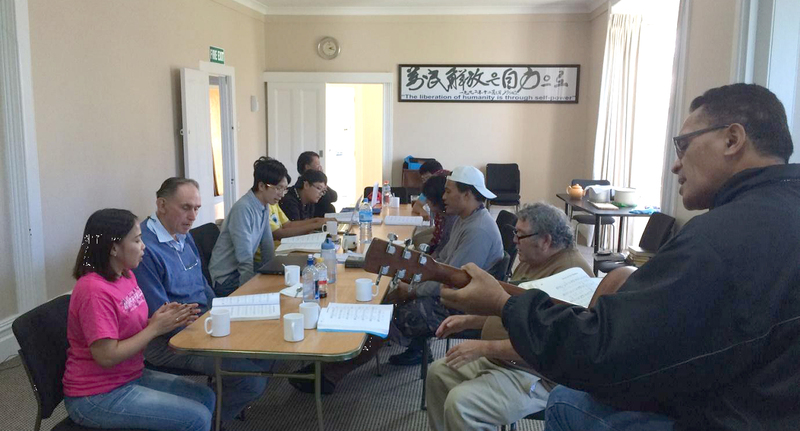 FFWPU Nrew Zealand, April 18, 2015, Parnell Peace Embassy Auckland: From the 16th to 18th of April 2015, Family Federation for World Peace and Unification New Zealand (FFWPU-NZ) held a Divine Principle Workshop for its members. A total of 10 members, including 5 younger generation members participated in the study of Divine Principle conducted by Rev Julius Gicole, Director of FFWPU-NZ at Parnell Peace Embassy, Auckland. 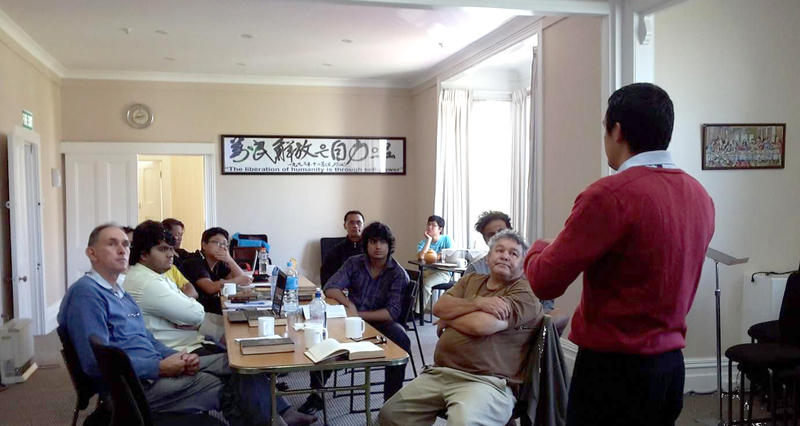 It was part of a series of activities designed to rejuvenate the movement in New Zealand through the continual study and reference of the Word. The study was done by first reading the Divine Principle individually, upon which there would be an exchange of questions and answers among two groups of the participants, before Rev Gicole finally explaining the Principle in greater details through his presentation on the relevant chapters. Mrs Jasmin Gicole took her time and effort to prepare for the members’ meals and refreshments, along with the participants themselves taking turn to help. At the end of the 3 Days workshop, participants were able to cover the entirety of the Principle with active discussion and increased interests among the younger participants to pursue the knowledge of Heavenly Parents and our True Parents as the Messiah who connect us back to them. It was a short, but relevant session that rekindles and reinforces the interests of members to study words of our True Parents, in order to better prepare ourselves and the movement to spread the light and love that have been bestowed upon us graciously. Some younger members were inspired to do more study after the workshop by conducting a Divine Principle study club regularly to ensure that they do not lose their motivation and interests. Participants were very thankful and appreciative of the efforts of our National Leader couple along with everyone’s presence to support and acknowledge each other’s interests to humble themselves and listen to the guiding words of truth that will light the paths that we have and want to follow.